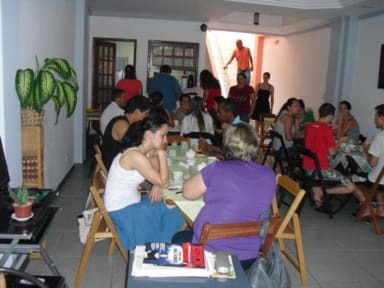 Albergue Rio Vermelho Hostel v Salvador, Brazílie: Zarezervujte nyní! 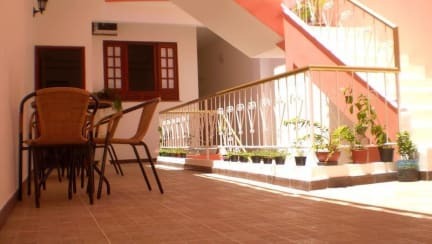 The hostel offers shared rooms large, comfortable, clean, ventilated and separated by gender, bathrooms inside the rooms, with hot water, fan and air conditioning, large lockers with key electrical outlet at each bed and Wi-fi around the hostel, including inside the rooms. Suites with hot shower, air conditioning, TV and minibar. Fully equipped kitchen for guest use; Beautiful courtyard. Buffet for breakfast, bedding and bath, Wi-fi, everything included. Concierge and 24 hour security. Tour packages and more. For World Cup Bookings, you will be charged 50% in advance in order to secure your booking (non refundable), you may be contacted by the property requesting the CVV code of the credit card used for this booking or asked for a deposit.